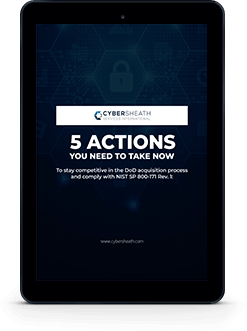 5 Actions you need to take now to stay competitive in the DOD acquisition process and comply with NIST SP 800-171 Rev. 1. Please Check Your Email For Your Free Guide! Did the government extend the deadline? How do I determine compliance with NIST SP 800-171 Rev. 1.? What exactly does it mean to be compliant? How do I know if I am already compliant? What needs to be included in my System Security Plan (SSP)? What are Plans of Actions & Milestones (POA&M's)? How do the controls apply to manufacturing environments? Does NIST 800-171 apply to cloud computing? How long will it take to achieve compliance? No matter where you are in your journey towards NIST 800-171 compliance this webinar is guaranteed to better equip you in understanding, implementing and maintaining compliance! Eric is Chief Executive Officer for CyberSheath Services International, LLC (CyberSheath) and is a respected cyber security expert having testified before the House Armed Services Committee (HASC) Subcommittee on Emerging Threats and Capabilities and served on the Council on Cyber Security expert panel to review and update the Critical Security Controls. Prior to founding CyberSheath, Eric was the Global Chief Information Security Officer for BAE Systems plc, based in London. 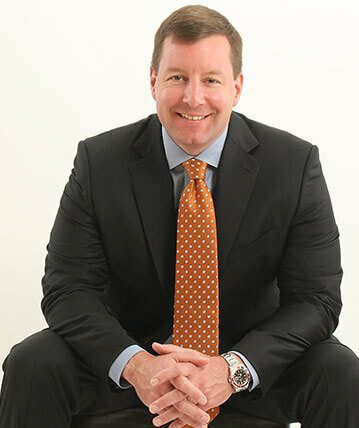 Concurrently Eric served as Vice President and General Manager of North American IT operations, overseeing engineering, architecture, and IT operations support for approximately 39,000 employees. Eric has a MBA from the University of Maryland and a B.S. with honors in Information Technology Management from Daniel Webster College. He holds numerous technical and professional certifications including Certified Information Systems Security Professional (CISSP) and Project Management Professional (PMP).